On Thanksgiving Day in 1991, we shared with our extended family the somewhat shocking news that we may be adopting a baby (although Terri had just given birth to our son Matthew). But instead God filled the heart of Jackie (the pregnant mother) with love for her son Jordan, and God used Jordan to bring her joy throughout the years which followed. About a week ago, I received a phone call from our son Andrew. 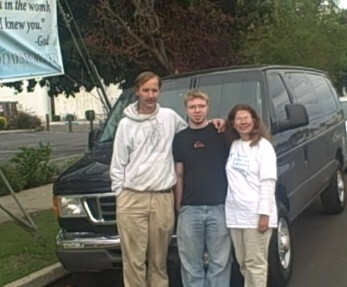 He got right to the point, saying “I bought you a van.” On Friday, Andrew and his wife Shantel made the long drive down from Chico to deliver our new van. We have known for years that Andrew had an amazing ability to find great deals on eBay, but this one surpasses our wildest imaginations! After spending so many years in our home, experiencing both the frustrations and the benefits of a large family, Andrew knew exactly what we needed, and this van has features that we wouldn’t have even thought of asking for. 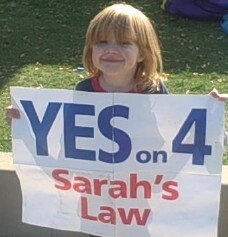 Sarah says: vote for Sarah and Sarah’s law! Our daughter Sarah reminds you to vote “yes” on Sarah’s Law (Proposition 4)… and while you’re at it, vote for Sarah Palin (and John McCain)! The future of our nation’s children hangs in the balance! Will your vote impact your eternity? Jesus said that all authority in heaven and on earth comes from Him, and He also said that we will be accountable for how we have used what He has given us, and that those who make good use of what He has given will be rewarded. I just received this from our friend and intercessor Marti McCraw. Barack Obama has declared that the first thing he will do when elected is… remove every abortion restriction that has been passed since Roe V. Wade. Will you join the Esther’s and Mordecai’s of this land to fast and pray for the lives of these innocent children? Who knows? Maybe you were made queen (part of a voting democracy) for just such a time as this. The CDC estimated that 500 babies are born alive after an abortion every year! The suffering of these babies (and their mothers) has been ignored for far too long. The “Confessions of a Catholic Mom” blog linked to our “laundromat” post and included this video which provides a glimpse into this atrocity — and a clear picture of Barack Obama’s calloused advocacy of such brutality. 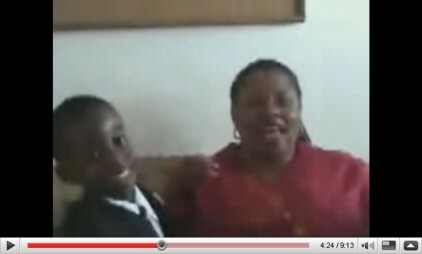 Take five minutes to watch this video, and tell your friends to do the same. It’s still not too late for our nation if we act now!